Anyway, this card is pretty self explanatory in that there is just nothing too fancy! 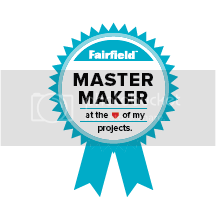 All main images are from Impression Obsession, the sentiment is from Stampin' Up!. I again used my Pearlescent Chocolate Brilliance Ink, I also sponged the edges of the card with Timber Brown Stazon to mimic the "distressing" of the Basic Grey paper I used...isn't that a fun striped paper? I felt it was just right for this card. 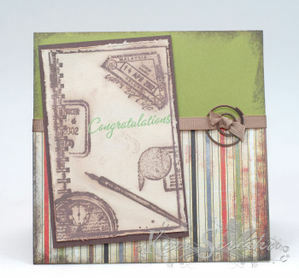 The "Congratulations"(Stampin' Up) is stamped using Pearlescent Thyme Brilliance Ink. For the ribbon I tied it onto the card first and then fed the spiral clip onto the ribbon. :) Enjoy!